Ahmeed Mohammad Saifa Al Amiri, a young 13 year old boy, came to LVPEI Hyderabad on 21st August 2013 with complaints of pain, redness and watering. He had fallen into a construction hole while playing with his friends near his home in Al Khabura, Oman, and a sharp object had struck his left eye. He had tried to hide this accident at home, but the excessive rubbing of his eye over the week, and a little bleeding, gave him away. The local hospital referred him to the Al Nahdha Hospital in Oman where the ophthalmologist said that he would have to undergo an operation for the cornea. Lack of facilities in Oman led him and his uncle Mr Waleed to come to LVPEI in India through the Ministry of Health, Sultanate of Oman. At LVPEI, the patient was diagnosed to have severe corneal infection in the left eye following the traumatic injury. Since he did not respond to medical treatment for fungal keratitis, a therapeutic corneal transplantation was performed. Recurrent infection in the graft led to a re-graft being performed by Dr Muralidhar Ramappa on 11th February 2014. This successfully resulted in vision being restored. The patient and his caretakers are understandably jubilant. They are grateful to the entire team that took good care in organizing their visit, helping them tide over the difficult situation, and finally ensuring that sight was restored in the young boy. 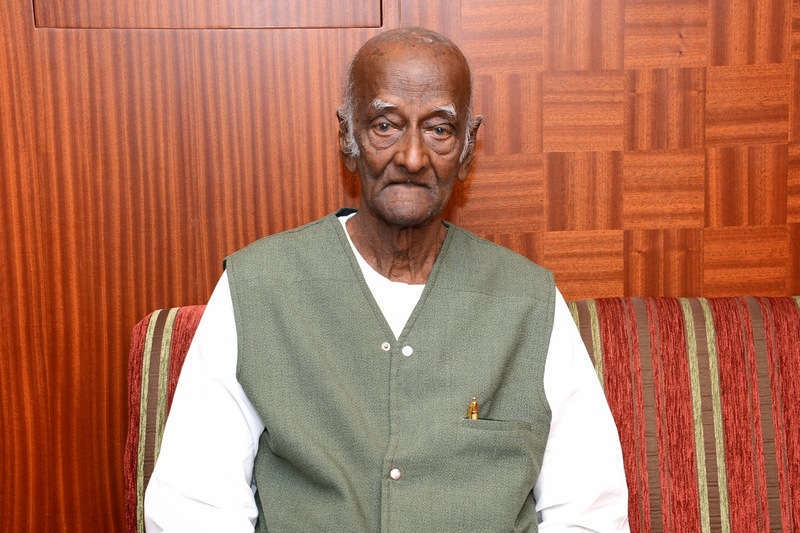 AG Govinda Raj, 93, a Second World War veteran, was losing his vision due to cataract. 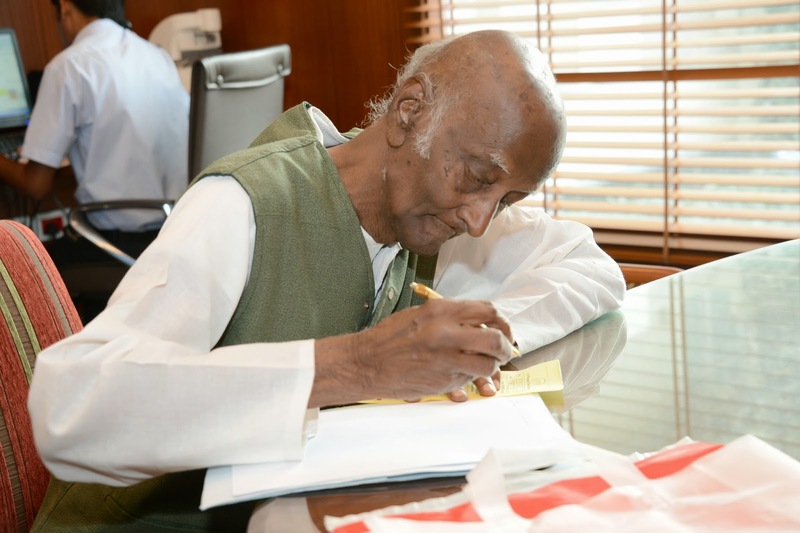 Though he enjoyed good health and had never visited doctors all his life, he felt compelled to seek medical help now. An avid walker who walked 5 km every day, he was unable to do so now because of his vision problem. He came accompanied by his son who had himself undergone cataract surgery in both his eyes at LVPEI. Dr Prashant Garg decided to operate upon him despite the difficulty of the patient’s advanced age. 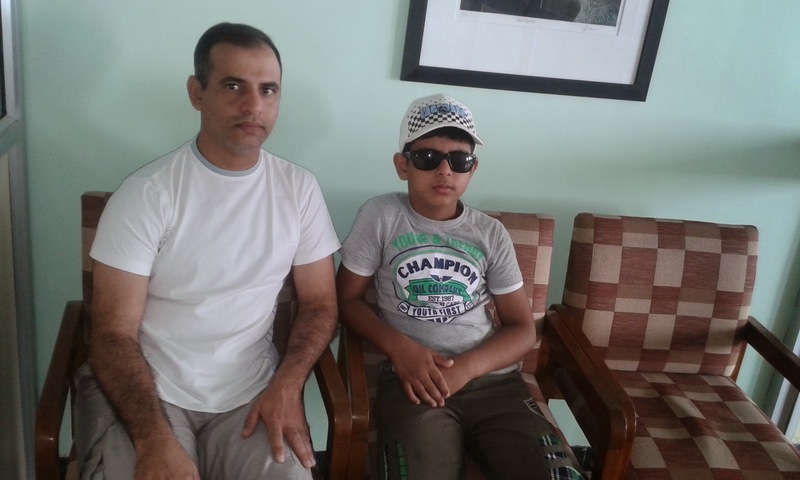 Post the operation, Mr Govinda Raj is extremely thankful to Dr Garg for restoring his vision and his son Mr Ashok is so enthused with his father’s new found zeal for life that he wants to get him enrolled for international games in the 90 plus category in the walking competition. 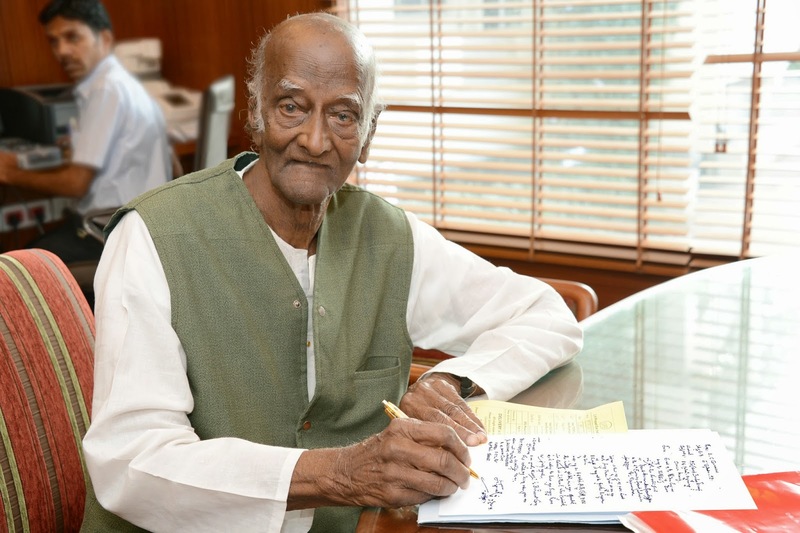 Mr Govinda Raj says that the ambience and quality of care made him feel that he was seeking medical care at some hospital in the US. He is full of praise for the hospital and its staff, and rates LVPEI as one of the best hospitals in the world.